DJ Scream was born to make the speakers talk and in some cases scream, hence the professional moniker. Growing up on the Eastside of Atlanta where he split his childhood between the suburbs and the hood, the infamous spinner was given the unique advantage to combine the inspiration of both environments and relate to a diverse audience, which has served him well in a career that spans almost two decades. His dedication to being the best was instilled in him as a youngster. Learning the DJ ropes gorilla-style by way of a used pair of Pioneer turntables, a crate, the fundamentals of turntablism and round-the-clock practicing, DJ Scream’s remarkably well-defined sound, as well as passion for his craft, are just a few of the many reasons why he has become one of the most sought after tour/performance DJs for independent and major recording artists in the game. 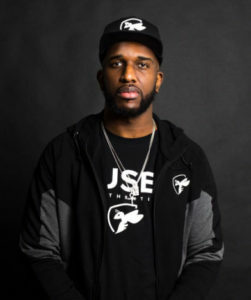 DJ Scream has enjoyed a successful run as the tour DJ for R&B superstar Montell Jordan, as well as Rap groups Crime Mob and the chart-topping D4L, all playing a major role in his ascension to the top. DJ Scream’s stringent work ethic, trailblazing skills and relentless hustle have taken him all over the world including Germany and Austria and been acknowledged with features and appearances by respected media outlets and TV programs such as XXL, The Source, Hip Hop Weekly, Ozone, Fader, Sister2Sister, Scratch, Down, Allhiphop, MTV, BET, The Monique Show and Soul Train. He was also given the honor of #1 DJ of the Year at the 2011 Southern Entertainment Awards (SEA) beating out such top talent as DJ Drama, DJ Jelly, DJ Aaries and DJ Bigga Rankin, as well as snagging the Mixtape DJ of the Year in 2009 and 2010. In 2010, MTV named DJ Scream as Top DJ of the Year and rightfully deserved. In addition to releasing at least one mixtape per week, mixing for Hot 107.9, hosting his own show Hoodrich Radio on Sirius XM Hip Hop Nation and snagging exclusive interviews with Mike Vick, Wiz Khalifa, Young Jeezy, Rick Ross, Rodney Jerkins, Ray J and Trina, to name a few and appearing on The Raw Report DVD series, DJ Scream shows no signs of slowing down.